The research in laboratory of Dr. Cash is, broadly speaking, dedicated to trying to understand normal and abnormal brain activity, particularly oscillations, using multi-modal and multi-scalar approaches with long term goals of improving therapies for patients with epilepsy. Specifically, we are combining novel microelectrode approaches with both invasive and non-invasive techniques such as electroencephalography and magnetoencephalography to record directly from both human and animal cortex and subcortical structures. One group within the lab studies the neurophysiology of epilepsy; trying to understand how seizures start and stop and how they might be predicted and terminated. These questions overlap with investigations into the mechanisms of sleep, normal language, auditory and other cognitive processing. All of these projects are built on a foundation of combined microelectrode, macroelectrode and non-invasive recording techniques that span information from the level of single action potentials to aggregate activity of millions of neurons. Intensive signal processing and computational techniques are employed to analyze these data sets. Collaborative activities involving neural modeling are aimed at relating these multi-scalar data. 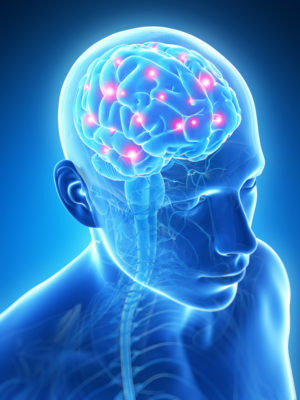 In addition, a focus of the group is on mechanisms through which recording and therapeutic systems can be interfaced with the nervous system – a form of brain machine interface research. Ultimately, all of these projects aim toward the creation of both invasive and non-invasive mechanisms for restoring damaged neuronal function. The laboratory is currently housed in the Thier Research Building on the main campus of the Massachusetts General Hospital. Undergraduate, graduate students and post-doctoral candidates who are interested in the laboratories’ work are invited to contact Dr. Cash directly.